10cc returns to London’s Royal Albert Hall on 28 May. For the band’s 40th anniversary year in 2012, Universal Records released a new five-CD box set entitled Tenology, featuring 80 tracks chosen by the four original band members. In 2013, 10cc joined Status Quo for a tour of UK arenas, including London’s 20,000-capacity The O2. In the years since, the band have toured in Australia, Ireland Japan, New Zealand across the UK and Europe and at London’s 60,000-capacity British Summer Time festival in Hyde Park. 10cc made a 25-date tour of the UK’s provincial theatres in autumn 2016, followed by a major city tour in March/April 2017, along with shows in Norway, Denmark and shows in Belgium, Holland and Germany. •10cc has sold more than 15 million albums in the UK. •10cc has sold more than 30 million albums worldwide. •I’m Not In Love has been played over five million times on US radio. •YouTube videos of I’m Not In Love, both old and with the current band, have been viewed more that 30 million times overall. •A YouTube video clip about the making of I’m Not In Love circulated the globe in late-2010, resulting in increased name-checks by bloggers and DJs. •Things We Do For Love has been played over 3.5 million times on US radio. •I’m Not In Love was part of the soundtrack of the film Bridget Jones: The Edge of Reason. •I’m Not In Love is lead track on the 2015 blockbuster Disney film Guardians of the Galaxy, which grossed $635 million in its first two months in US cinemas and spawned a No 1 album there. •In 1993, Will To Power hit the Top 10 in the UK with its version of I’m Not In Love. It has also been recorded by, among others, The Pretenders (for the film Indecent Proposal), Peggy Lee, Richie Havens, Fun Lovin’ Criminals, and more recently Diana Krall and The Flaming Lips. 10cc Gets a Time Out New York Pick! 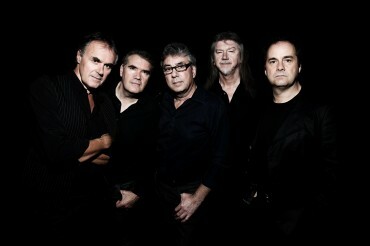 Legendary alt-rock group, 10cc, received of of Time Out New York’s 10 ‘Indie Concert’ picks for the Summer of 2012!